Tickets for the event may be purchased by calling 304-372-4500 or by sending an email to christyjccf@frontier.com. 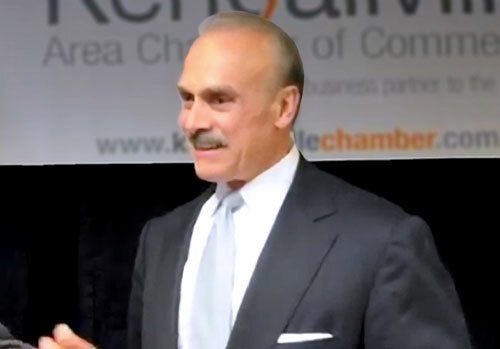 Rocky Bleier is a former NFL running back who played for the Pittsburgh Steelers in 1968 and then from 1970 to 1980. Following his rookie season for the Steelers, Bleier was drafted into the U.S. Army and served in Viet Nam where he was severely wounded in an ambush. He was hit by rifle fire as well as a grenade explosion which injured his leg and took off part of his right foot. Even though doctors told him he would never play football again Bleier was determined to return to his team after the Steelers owner, Art Rooney, sent him a postcard saying that the team needed him. After his discharge from the Army Bleier fought back and returned in 1971 to play on special teams and continued an offseason training regimen that earned him a spot in the Steelers’ starting lineup in the summer of 1974. Bleier went on to become a four-time Super Bowl Champion for winning Super Bowls IX, X, XIII and XIV.